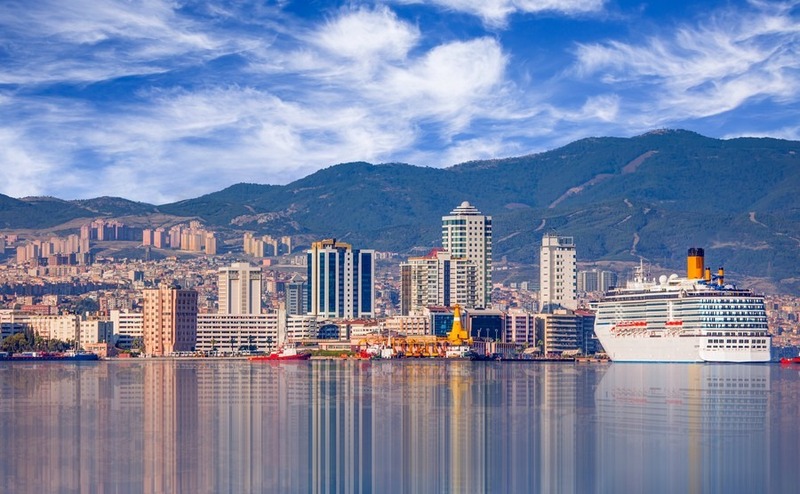 Located midway up Turkey’s west coast the country’s third biggest city is home to more than four million residents, and is fast becoming a popular place to purchase property with overseas buyers’ – accounting for around 6% of foreign property transactions here last year. Wrapped around the sparkling blue waters of the Bay of Izmir, the city’s seafront is lively and picturesque. Both locals and visitors head here to take advantage of the vibrant café culture, which really ramps up after dark. Wrapped around the sparkling blue waters of the Bay of Izmir, the city’s seafront is lively and picturesque. The old Izmir Fuar site is a wonderful market venue set in green pastures within the heart of the city. Wonder around here and you can really appreciate the city’s rich Turk, Greek, Armenian, Jewish and Levantine heritage. The influence of the latter two is still felt today – particularly in the local cuisine – with established communities from each. Shopping is excellent, from the malls in Gaziemir to the Bornova Forum, where you’ll find stores like Ikea. Bargain hunters will revel in exploring the streets around Kemeralti, Bornova and Karsiyaka, and the boutique shops in Alsancak. Explore close to the waterfront in Konak and you will discover one of Turkey’s most fascinating bazaars, the Kemeraltı Market. Other popular attractions around the city include an impressive museum of history and art, the 4th century BC ancient agora and the church of St Polycarp. Izmir’s standout districts include Bornova, Alsancak, Balcova and Narlidere, while the hip town of Alacati is just a 45-minute drive away. Alacati is a popular weekend retreat for Izmir’s well-heeled residents, who head there to enjoy some of the region’s best beaches. The area around Alacati and the nearby town of Cesme – also a popular spot with beach lovers – accounts for nearly a fifth of the country’s wine. The city is served by its own international airport with excellent links to Europe and the rest of the world. Izmir has a metro line running from Karşıyaka around the Bay of Izmir. A new metro line is scheduled to open at Konak on the other side of the bay later this year. There also plans for an unique underwater tunnel and bridge, called the Izmir Gulf Package. This will create a ring around the city to reduce traffic. Whenever you wish to live in Turkey, knowing how to negotiate for your property should get you a little more house for your money! Download our guide: How to Negotiate Abroad. 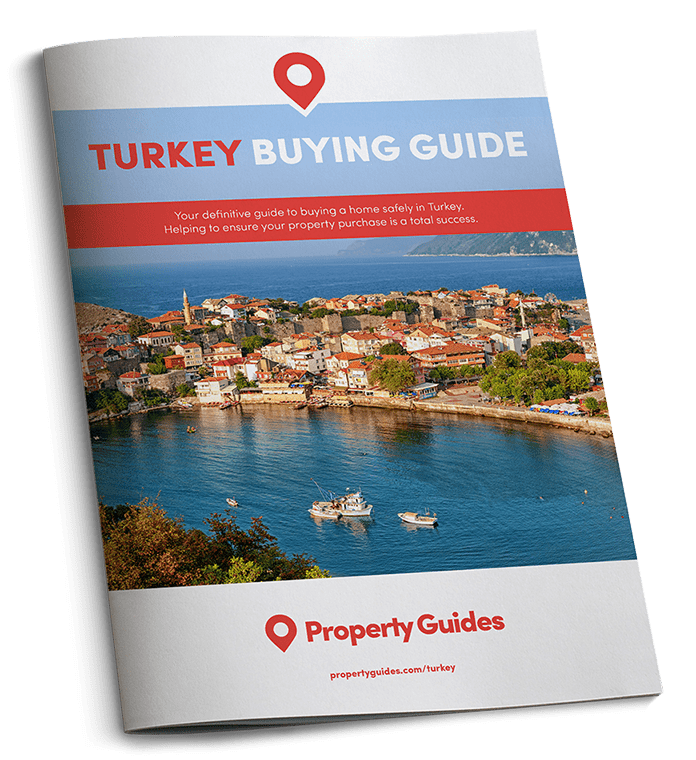 Property buying in the region ranges from spacious villas in nearby coastal towns like Alacati and Cesme, to apartment-living in the city centre. The average price of an apartment in the city centre is around 5,150 TL (£950) per square metre. Much cheaper than Istanbul which currently sits at around 8,800 TL (£1,620). If you want to live in relaxed seaside surroundings, while still benefiting from the convenience of having Izmir just a short distance away, this one-bed apartment in Cesme could be for you. For just €98,600 (£87,500) you could enjoy the luxury of your own private hotel suite, which can be rented out when not in use.